Business description from prospectus – DP Wires is engaged in manufacturing and supply of Steel wires, plastic pipes and plastic films which find its application in industries like oil & gas, power, environment, civil, energy, automobile, infrastructure etc. All its manufacturing divisions are situated in a single premise at Industrial Estate, Ratlam. In the year 2001-02, it started commercial production of wire drawing of high carbon, low carbon & alloy steel, polyethene and polyethene layflat tubing. In year 2003-04 it started production of LRPC Strands used in bridges, flyovers etc. The company is also engaged in power generation through 2 wind farms of 0.80 MW each in village Okha-Madhi and Jodhpur in District Jamnagar. It has entered into PPA with Gujarat Urja Vikas Nigam Limited for sale of electricity generated through these wind farms for a period of 20 years. Both these wind farms were installed on turnkey basis by Eneron India Pvt. Ltd. in the year 2006-07. Its Plastic Products have been used in Lining of Canals, Landfills, Highway & Road Constructions, Ponds, Tanks, Water Reservoirs, Mining, and Solution Ponds and for corrosion Resistant on Steel tanks etc. 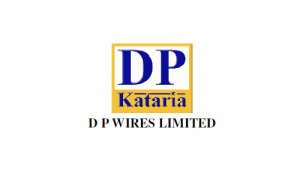 DP Wires IPO allotment status is now available on Bigshare Services' website. Click on this link to get allotment status.